ING Groep NV, the biggest Dutch bank, said it will sell its remaining 19% stake in Voya Financial Inc.
ING Groep NV, the biggest Dutch bank, said it will sell its remaining 19% stake in Voya Financial Inc., completing its slow-motion exit from its former U.S. insurance unit. Voya will repurchase $600 million of its shares in connection with the offering, according to a statement Tuesday from the New York-based insurer. The Dutch lender has received more than $6 billion for the 81 percent of Voya that it sold in five transactions starting with the initial public offering in 2013. The final sale of 45.6 million shares is valued at about $2 billion based on Voya’s closing price of $44.08 in New York trading Tuesday. ING received 10 billion euros ($11 billion) in Dutch government aid after losses on U.S. mortgage-backed securities in return for a commitment to sell assets. In November, it paid the final installment on its bailout after selling its U.S. retail bank and spinning off insurance businesses on both sides of the Atlantic. ING shares were little changed at 12.96 euros at 10:27 a.m in Amsterdam. The Stoxx Europe 600 Banks Index was up 0.3 percent. After the final divestiture, Voya may increase its quarterly payment of 1 cent a share to investors, Yaron Kinar, an analyst with Deutsche Bank AG, said in a Jan. 6 note to investors. Citigroup Inc. and Bank of America Corp. are arranging the offering, Voya said in a regulatory filing. Voya Chief Executive Officer Rod Martin, 62, has used the ING sales to repurchase his company’s stock. Voya bought shares valued at more than $700 million in three transactions last year. Martin has also sought to free up capital by exiting some policies that were issued in prior years. Moody’s Investors Service said Tuesday before the share-sale announcement that it lifted the insurer’s credit rating. “Voya’s continuing improvement in its financial profile, particularly profitability and financial flexibility,” led to the upgrade, the ratings firm said in a statement. ING raised more than $1.4 billion through Voya’s IPO in May 2013, selling shares at $19.50. 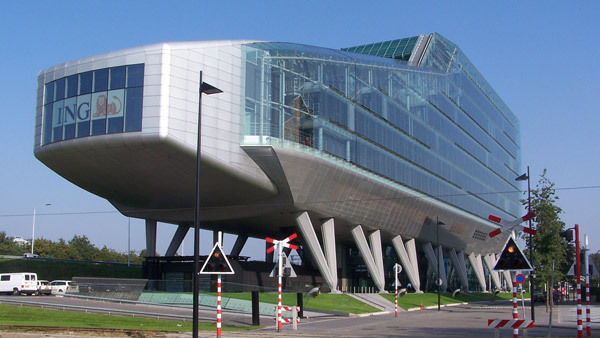 With four subsequent sales of stock, Amsterdam-based ING had reduced its holding to 19 percent by last November. ING, which once had insurance operations from Brazil to Malaysia, is resuming dividend payments for the first time since 2008 after repaying the state rescue. –With assistance from Sonali Basak and Jing Cao in New York. — Check out Fed Will Have to Walk Tightrope to Raise Rates: Voya on ThinkAdvisor.